An update has been posted to the official Sailor Moon site which reveals the name of the latest musical, Pretty Guardian Sailor Moon Amour Eternal, as well as a complete cast listing. The new musical has been confirmed to be covering the Dream arc of the manga, adapted as Sailor Moon SuperS in the original Sailor Moon anime. This title is just the worst! Amour, as most probably know, is the French word for love. Eternal however is not French at all. It’s a full on English word. What the hell? Why not Amour éternel, which would actually be proper French? Are we supposed to pronounce it in French? 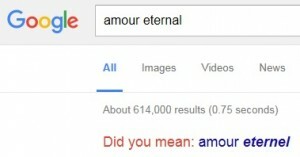 It just sounds gross to say Amour Eternal. It’s just bastardizing two languages. It’s gross. The last two musicals all had fully French names. Is this supposed to be a misspelled French word or is this intentionally terribly mismatched English and French words? This is just bad and it will not stop bothering me and I will probably not be able to avoid mentioning how terribly stupid it is at least once in any post referencing this musical. This offends me as both and English and French speaking person and it should bother you too. This title will just lead to more confusion on what the name means. Amour éternel would translate roughly to everlasting love or eternal love. I guess eternal is more the word we’re going for since it’s the actual English word in the horrible title. Some newcomers and some repeat performances here. Sailor Moon, Mercury, Mars, Jupiter and Venus are all new actors, as we’ve seen announced previously. We already saw that Yuga Yamato would return as Tuxedo Mask. Shuu Shiotsuki, Sayaka Fujioka, Mikako Ishii and Karin Takahashi will be reprising their roles as Sailor Uranus, Neptune, Pluto and Saturn. Airi Kanda will also be returning as Chibiusa. 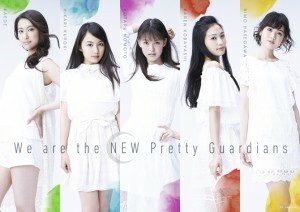 Riona Tatemichi, who previously played Rubeus in the Petite Étrangère musical, will be playing Hawk’s Eye. The rest of the cast are newcomers to the musicals, as those characters have no appeared before. We previously reported that Hikari Kuroki would play Ami Mizuno, Sailor Mercury. This role is now credited as Yume Takeuchi. I don’t know what prompted this change in casting, but this replacement was posted as a separate update on the Sailor Moon official site on the same day as this updated cast listing was shared.